The next theme on MasterChef Australia highlights a universal favourite a�� Fast Food. 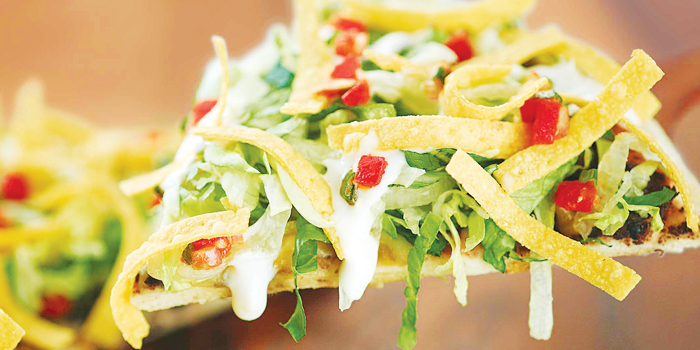 This week, two Indulge readers will get to enjoy a meal for two at California Pizza Kitchen. Meanwhile, we caught up with chef Bakul Kodikal, the regional kitchen manager of California Pizza Kitchen India, to share his thoughts on the subject. Talking about gourmet fast food in restaurants, the chef says a�?You can have a couple of dishes that are super fast. But gourmet is all about enjoying a complete experience a�� the service, the ambience, the music, as well. So ita��s not just about quick food.a�? That said, he stre-sses that the food must arrive at regular intervals. And for diners wishing to have a quick meal, the chef shares his recommendations. a�?Go with the dips and chips for starters a�� it can be served almost immediately. For mains, order the chicken fajita pizza that takes just about three to four minutes of preparation or tomato basil spaghetini which is also super fast.a�? And for dessert, the red velvet cake is his pick. Last week saw two Indulge readers spend an afternoon with California Pizza Kitchena��s chef Kartik as part of the Wild West cook off at the restaurant. The interactive session had the participants helping the chef, as he recreated the hand-tossed Roasted Tomato and Mushroom Pizza from the MasterChef Australia exclusive menu. This week, two more lucky readers (see contest above) will get to participate in an interactive session with chef Kartik and thereafter enjoy a MasterChef Australia lunch at the restaurant. So make sure you dona��t miss a chance to up your kitchen skills at California Pizza Kitchen.